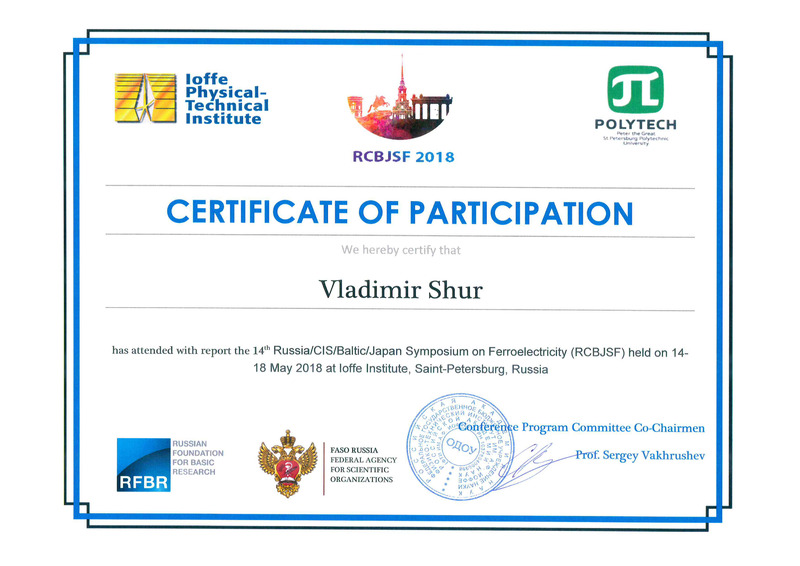 The delegation of 15 researchers of UCSU "Modern Nanotechnologies" took part in the 14th Russia/CIS/Baltic/Japan Symposium on Ferroelectricity with invited, oral and poster presentations. The symposium was held on May 14 - 18 at the Ioffe Physico-Technical Institute (St. Petersburg). 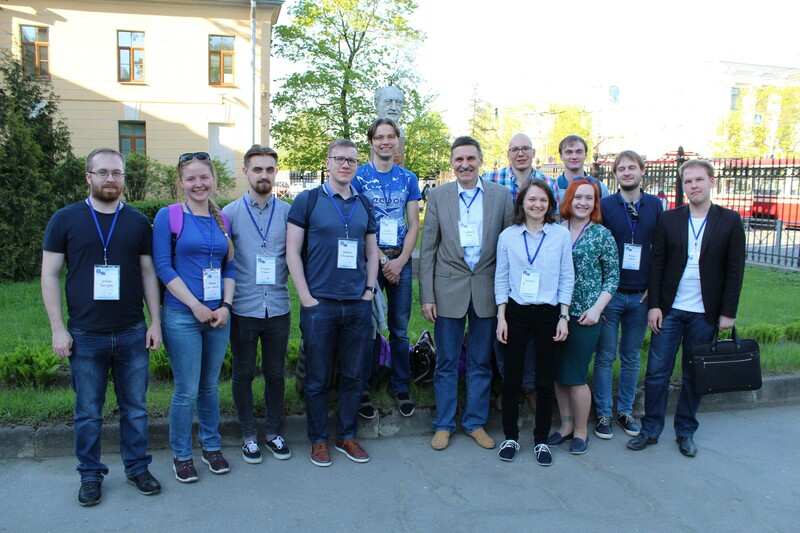 Young participants of the symposium also attended lectures of leading scientists within the framework of Young Scientists School on Spectroscopic Studies of Critical Dynamics at Structural Phase Transitions. During the conference, many international contacts were established with the aim of further cooperation.